User Group Focus is a deep-dive, educational conference dedicated to the success of Power platform (Power BI, PowerApps, Flow) users. The User Group Focus Programming Committee is comprised of volunteers who worked diligently to create the final schedule. They determined the most relevant and useful session topics based on the community's session proposals, plus your comments, surveys, and feedback galore to provide you with the content you want. 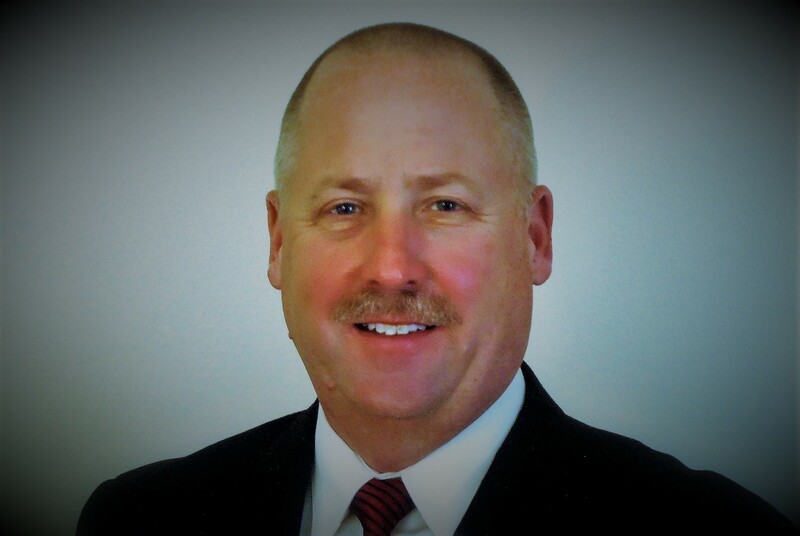 One dedicated member of this committee is Dan Edwards, Senior Manager, Crowe LLP. Dan has worked in ERP and the Microsoft space for over 25 years. As a CPA, he has focused (no pun intended!) on solving client's business problems by turning data into information in the form of analytics and reports. In his Q&A, Dan shares why User Group Focus is an invaluable learning opportunity for the Power platform community. 1. What are you most looking forward to about User Group Focus? "The industry is always changing, so I am looking forward to learning not only new features and functionality, but how users are taking advantage of these new capabilities. I enjoy Focus as the sessions go deeper than typical events." 2. What is your job as a member of the Programming Committee? Any sessions or speakers you are especially excited about? "As a member of the Programming Committee it was our job to review the session proposals, identify speakers and topics, and put together a top-notch agenda of sessions." 3. What makes User Group Focus unique when compared to other conferences? "With all sessions lasting 90 minutes, it allows speakers to go deeper into the topics, as well as including some hands on options." 4. How will User Group Focus help solve an overall company issue and/or a problem an individual might face in their role? "It is sometimes difficult to come up with your own solutions for problems. Attending an event like Focus allows individuals to interact and learn from each other, as well as see examples of solutions other companies are using." 5. How do you expect User Group Focus to help elevate attendees professionally? "Knowledge is always important, and the ability to learn more about how you can use technology to solve business problems makes you more valuable to your employer and more successful in your career." View the full agenda, track descriptions, and recommended job roles here. 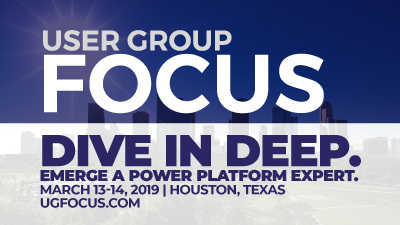 A truly unique learning experience, User Group Focus is heading to Houston – the largest city in Texas, March 13-14, 2019. Come take your education to the next level with immersive, multi-level sessions on the Power platform. The 30+ dedicated sessions are taught by sought-after experts to take you further on your knowledge-path progression. Attend 90-minute sessions (including Hands on Labs) for all skills levels. Learn how to better utilize Power BI, PowerApps, and Microsoft Flow with your current software solution (Microsoft Dynamics or other). Thank you, Dan, for serving on the User Group Focus Programming Committee! Will you be joining him this March in Houston?